When Tyler Karu started her interior design firm almost ten years ago, the recession was in full swing. 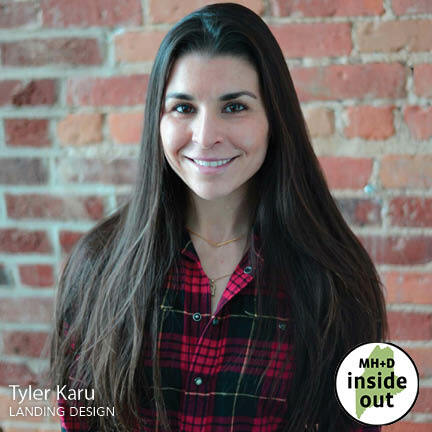 After spending years flipping houses for profit in a weak market, Karu’s company Landing Design is now focused on client-based projects. Karu talks to Maine Home + Design about her history as a house flipper, sustainability, and the tenuous yet exhilarating state of modern design. Q. You have a background in house flipping. How does that contribute to your process as an interior designer? A. Spending those five or six years flipping houses exclusively gave me insight into construction—not just the process of it, but the actual materials and the nitty gritty aspects that you wouldn’t learn otherwise. From the foundation to managing a construction schedule—those aren’t elements that I would have any experience in had I not flipped houses. My experience doing that allows me to basically contract out an entire renovation on behalf of my client. Q. How do you implement sustainable design practices? A. Sustainability isn’t as straightforward as everyone thinks it is. A product made from sustainable materials is not necessarily sustainable in terms of shipping that product or receiving it. There’s a carbon footprint on every end of most sustainable products that we’re using. Vintage and reclaimed materials, antiques—those are truly sustainable products.